The power to access spirit lies within you! Have you ever thought that you were not alone? Have you received a strong “gut-feeling” about something? Did you sense a dear departed loved one speaking to you? Enhance your intuition, communicate with spirit, and receive and interpret signs and symbols. International author and medium, Sharon Anne Klingler, provides this unique, comprehensive course that opens the door to a greater world. Learn to enhance your intuition, communicate with spirit, and perceive the signs and symbols that are around you every day. Discover the guidance and inner power to meet the potential you have in the world. 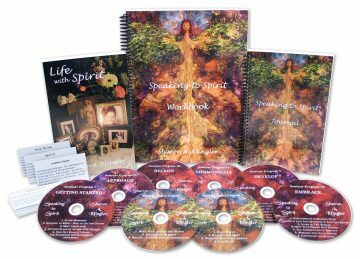 The Speaking to Spirit Deluxe Edition contains: ” 8 full-length CDs; ” Comprehensive 220 page workbook; ” A 40-day journal; ” Handy pocket cards; ” And Sharon’s insightful book, Life with Spirit. 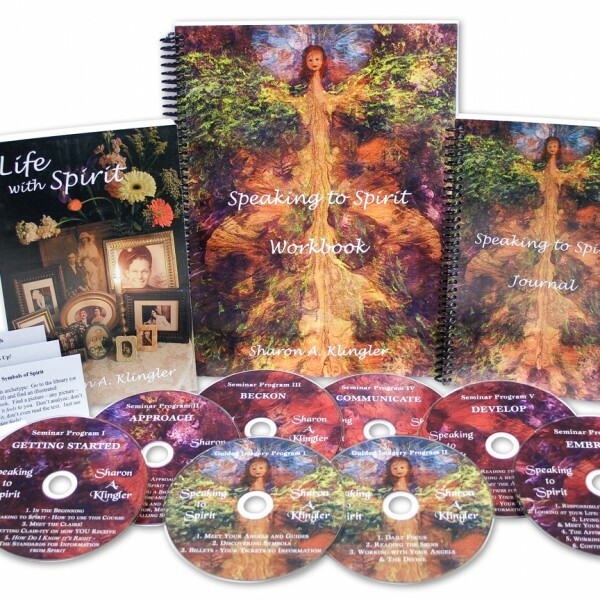 This program includes: ” Techniques in clairvoyance, clairsentience, and clairaudience; ” Who’s who in the spirit world; ” Methods of spirit communication; ” Learning to identify spirit and their evidence; ” Symbols – the language of spirit; ” How to keep your own mind out of the message; ” Who’s your angel; ” Perceiving Yes or No from your guides; ” Every-day development practices that keep you in touch; ” And much more!